The Princeton Club of Chicago and the Asian American Alumni Association of Princeton (A4P) invite all Tigers, Parents, and Friends to celebrate Diwali, the "Festival of Lights," with a lunch buffet at India House in River North! 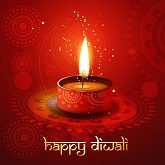 Diwali is the biggest and brightest festival in India. The festival spiritually signifies the victory of light over darkness. Come celebrate with us over a delicious lunch buffet. Look for Saumit Sahi '13 - he will be our on-site host at the restaurant! TICKETS: INCLUDE lunch, tax and gratuity. Please bring cash for beverages. Click here to reserve by Friday, October 13th!!! Click here to join PCC now! Membership is free for the Class of 2017, but you must join!